Wherein my TWSBI Micarta (0.5mm CI) is paired with Visconti Sepia. On June 22, 2018 my TWSBI Micarta (0.5mm CI) joined its comrades when it was filled with Visconti Sepia. The pen was in use for 3 weeks and was emptied and cleaned on July 18, 2018 , saying good-bye to its fellows. I was given six ink samples for Father’s Day, and today I decided I want to try them all out! I stay with brown inks in the Micarta, so it gets to try Visconti’s Sepia ink. 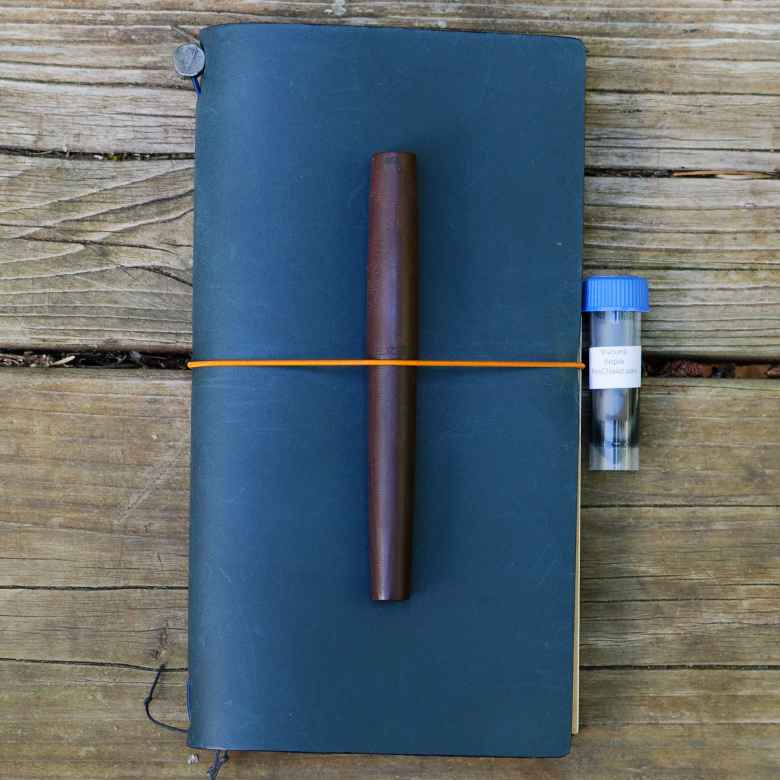 I wrote this pen dry, using it in my personal/private journal on an every-other-entry rotation. It’s darker and wetter than I prefer, and while on its own is a good ink, it doesn’t offer me something I’m missing with my other brown and sepia toned inks.